Health care facilities involve an added level of cleanliness than standard office buildings due to these combined factors that need to be considered. Other concerns that need to be adhered to are the use of hazardous chemicals, handling sharp instruments, i.e., glass and needles and collection and disposal of different types of medical waste. Besides, there are vital issues such as patient confidentiality, healthcare-associated infection (HAI) rates, noise levels and patient surveys that need to be considered. The risks and responsibilities associated with cleaning these facilities should not be ignored, things like death, the possibility of illness and liability in case of contractors not following the necessary procedures. Training – As a result of the health-related and physical risks, the required documents and supervision, as well as the technical nature of the profession, rigorous orientation, and ongoing training, are a pre-requisite. Documents – Written standard operating procedures, checklists, and sign-off sheets are generally used to keep track and validate that the job was completed as specified. Supervision and management – Commercial companies such as Cleanworks Brisbane understand the importance of supervising staff in healthcare facilities due to the stringent cleaning specifications these companies are subjected to. Healthcare facilities are periodically monitored, inspected and audited to ensure they are adhering to cleaning specifications. Risk and liability – Cleaners are exposed to several health risks due to the nature of the environment they work in which includes probable exposure infective constituents, disposing of medical-waste and an elevated risk of tripping, slipping or sustaining fall injuries to the public, cleaners, and medical staff. Make sure that your insurance has the required protection. Sensitivity – Patients are often stressed, overwhelmed and sick, and this needs to be considered when working in a medical environment. Workers need to be conscious of these factors, and with the right demeanour they can alleviate the circumstances and provide a more pleasant environment. What are the requirements when cleaning a health facility? Specialized cleaning services are required for areas such as examination rooms, patient rooms, labs, operating and procedure areas, etc. Production fees are dependent on the different areas that will require cleaning. Examination and procedure rooms can be more time-consuming and challenging, as surfaces will require thorough cleaning and disinfection, as well as supply stocking, may be required. Disposing of medical waste must be handled differently and is regulated. This may include bagging, weighing, labelling and storing the waste in specific colour-coded containers. The waste can’t be disposed with regular garbage and must be collected and transported to be disposed of correctly. 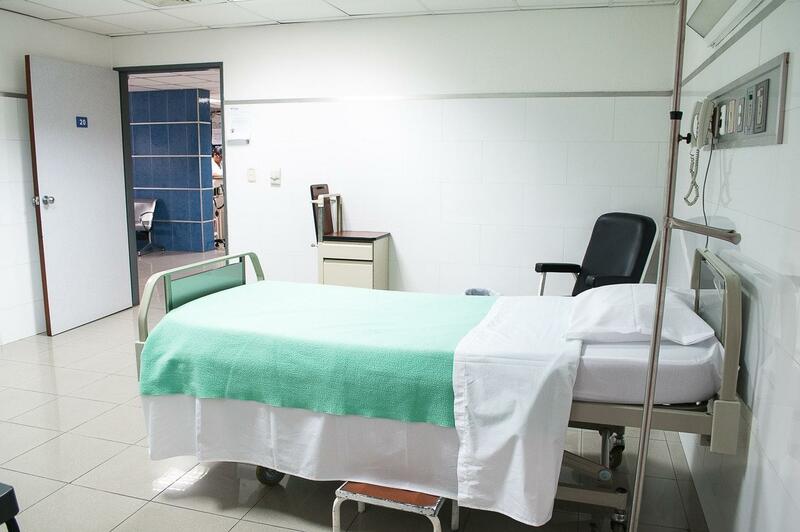 Areas that contain body fluids and blood such as operating rooms will require more than one cleaner to save time and ensure thorough cleaning within the scheduled times. Patients with highly-contagious or sensitive cases are housed in exclusive areas and may require more time in between to complete the cleaning process. These factors need to be considered when you’re submitting your bid for a cleaning contract as costs are higher in a medical setting due to the higher expectations when it comes to cleaning.